July has been a super busy month at the Agency. 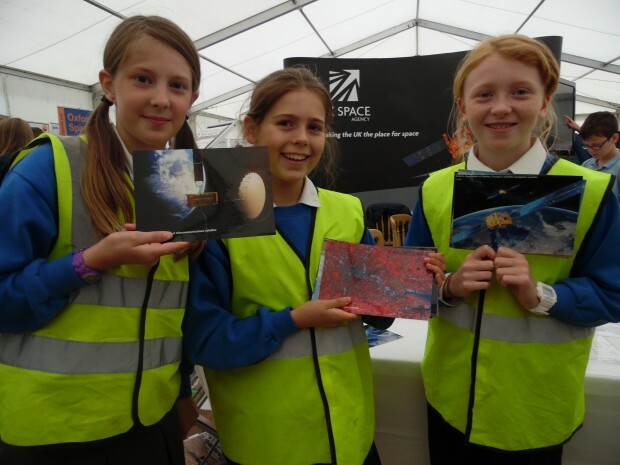 It all started with an open week for the UK Space Gateway at Harwell, followed by the opening of a special facility and ending with one of the best space conferences yet. The month started with a very successful open week at Harwell, Oxfordshire. We exhibited in the Great Big Science Fair, which was host to many students of all ages. The fair was open to the general public on Saturday. A whopping 16,000 people attended and took part in our ‘Train like and Astronaut’ activities. 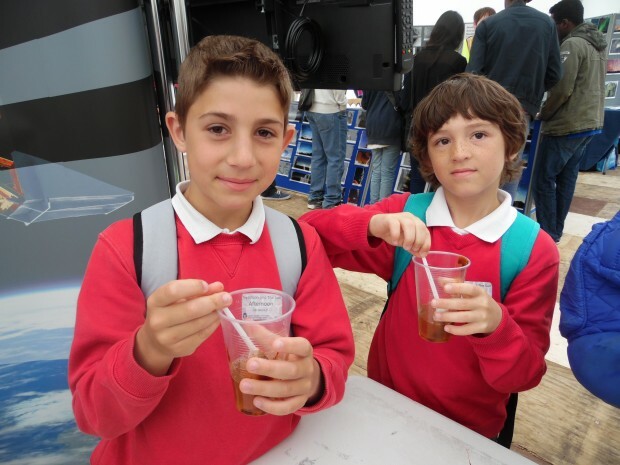 Activities ranged from creating your own urine sample (out of apple juice and marmite to show the importance of hydration in space) to trying on a real Sokol spacesuit! Did you visit our stand that week? If so, tweet us a picture or send us a message on Facebook! We’d love to know what you enjoyed the most. 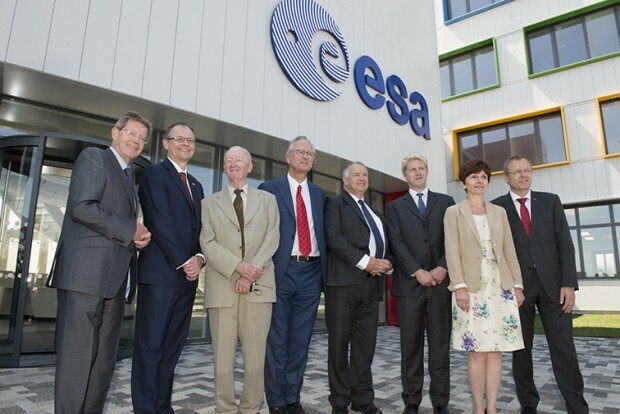 The European Space Agency (ESA) inaugurated their European Centre for Space Applications and Telecommunications (ECSAT) facility in the UK. ECSAT has been developing steadily since 2008, following the government’s decision to increase its contributions to ESA. Named after ESA’s British first Director General, Roy Gibson, ECSAT’s new building will host 120+ jobs including teams in telecommunications and integrated applications. Among many things, the building will house the Earth Observation Climate Office, Science and Exploration teams and Technology and Quality Management teams supporting ESA research and development programmes in the UK. The state of the art test facility includes two new 5m diameter Space Test Chambers along with a vibration facility, clean rooms and AIV (Assembly, Integration and Verification) control room. These will be used for important future projects including ESA’s Sentinel 4 mission as part of Europe’s Copernicus programme. Phase Two of the development is currently expected to be completed by June 2017. Quantum is a public–private partnership between ESA and telecom satellite operator Eutelsat. The first Quantum satellite – planned for launch in 2018 - will be primed and manufactured by Airbus Defence and Space (UK) and use a new platform by Surrey Satellite Technology (UK). The partnership is supported by strategic investment from the UK Space Agency through the European Space Agency’s advanced telecommunications R&D programme. The satellites developed under the Quantum umbrella will be cheaper and quicker to build than current ones. This means larger-scale production and more efficient control of stock. The ability to mirror or complement another satellite anywhere in geostationary orbit will transform fleet management, making the entire constellation more efficient. This year’s #UKSpaceConference was hosted at the Arena & Convention Centre, Liverpool and brought more than 1,000 delegates to the event. The theme for this year’s event was Space-enabled Futures. This reflected the space industry’s commitment to promote technologies developed for space into downstream industries. The biennial event has grown significantly since it was held in 2013. 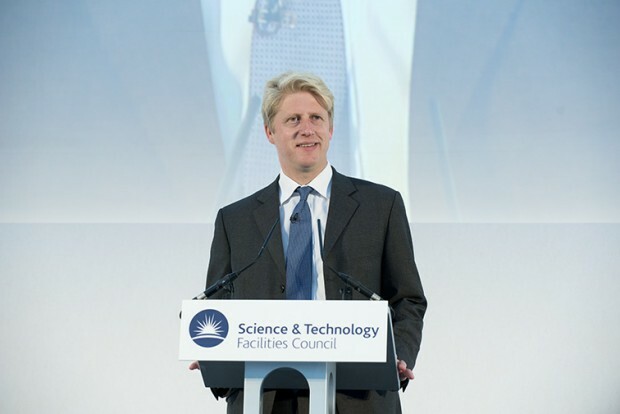 The two-day conference brought together UK space representatives with users of space-based services, entrepreneurs, academia, policy-makers, funders and students. With over 1000 representatives, 100 exhibitions, 50 press attendees and a live talk from Tim Peake from Kazakhstan, the event was a unanimous success. For the latest news and updates, check out our website and follow us on Twitter.